Curated by Carly: Pink Pineapple Weekend Giveaway! It's time for a special weekend giveaway!! This weekend, one lucky Chicago Prepster follower will win a pair of gorgeous "Glimmering Summer Waves" earrings from Pink Pineapple! I have the smaller version of these earrings and I absolutely love them! I wear them almost every day - they go with any outfit! Enter using Rafflecopter below before midnight on Sunday, July 22! 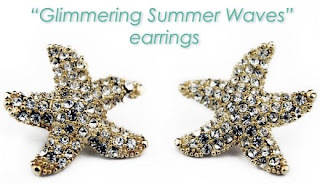 I would wear the earrings to the beach with a cute sundress! I would wear the earrings out to dinner. They are perfect for summer! I would wear these everywhere in the summer! Very fun and chic. I would wear these earrings everywhere!! I would wear these earrings everywhere! They are adorable, classic prep. The white anchor belt is also adorable and would make the perfect accessory to any prep outfit! I would wear these earrings to my cousin's florida wedding! I would totally wear the earings with my Lilly you gotta regatta dress on a night out! I love these earrings! I also love the Scallop Shell Drop necklace! Don't you think they would go great together? thank you so much for hosting this amazing giveaway! i spent so much time on the shop's website and fell in love with the lattice links bracelet! 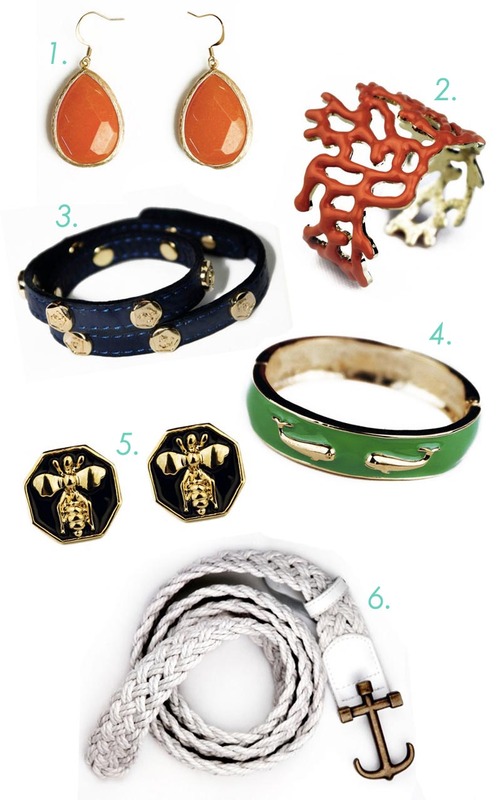 My favorite item is the Atlantic Triton whale earrings. I would wear them on our beach vacation next month! love your blog! I'd wear them with a navy and white striped dress for an adorable nautical look! I need those earrings to wear on my trip to Cape Cod next month!!! Those earrings are darling! I would wear them anywhere, but they'd be perfect for a date with the hubby at the beach. I am loving that anchor belt! I definitely would wear the anchor earrings to my job interview in Chicago next week, and then at Silver Beach in St. Joseph, Michigan! And as for the site, I love the Mutiny bracelet. The skulls are subtle and great! I got to your website from College Prepster, and I love it! The design is great and I do love the articles. I'm following you now, keep up the good posts! I came over from the College Prepster, too! The jewelry on Pink Pineapple is so cute. I especially like the Starfish cuff. It's actually called "Rill Cove Treasure". Those earrings are adorable, too. I would wear them all summer, and again in December when I go to a Miami wedding and a cruise. They'd be perfect with my LDB. I would only wear these earring every day! They are so cute! !